Jesus said it at other times as well…. So, how are we to follow Jesus? For us to Follow Jesus, we must find out where He walked. A serious reading of the gospels shows us the life of Jesus and how He walked and where His walk ended. Jesus came into a world full of sin and darkness. John says about Him, “And the light shineth in darkness; and the darkness comprehended it not” [John 1:5]. Jesus said about Himself, “Then spake Jesus again unto them, saying, I am the light of the world: he that followeth me shall not walk in darkness, but shall have the light of life” [John 8:12]. Three times in Marks Gospel does Jesus predict where He would finish His walk in this dark world. “Saying, Behold, we go up to Jerusalem…And they shall mock him, and shall scourge him, and shall spit upon him, and shall kill him: and the third day he shall rise again” [Mark 10:33,32]. He, of course, was talking about His crucifixion where He would become the perfect sacrifice for sin. After His death, they took down His body and placed it inside a tomb and rolled a stone over the opening. Then, on the 3rd day, He rose again. That was a very difficult path…. the path to the cross. How are we to follow that? Paul explains it to us in Romans 6:3-4…We are in sin, our sinful self must die (which is why repentance is so hard), then we must be buried which is baptism (you never bury living people) and then God raises us up to a new life. All of this means that for us to follow Jesus, we must take the path that He took. For us to Live for Jesus requires us to die for Him first. This imagery fits perfectly with obeying the Gospel [2Thess 1:8-9]. The Gospel is the Death, Burial & Resurrection of Jesus [1Cor 15:1-4]. 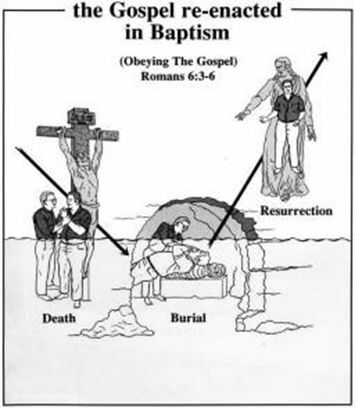 We obey the Gospel when we die to sin, are buried in Baptism and are raised up as a new creature. “Buried with him in baptism, wherein also ye are risen with him through the faith of the operation of God, who hath raised him from the dead” [Colossians 2:12]. 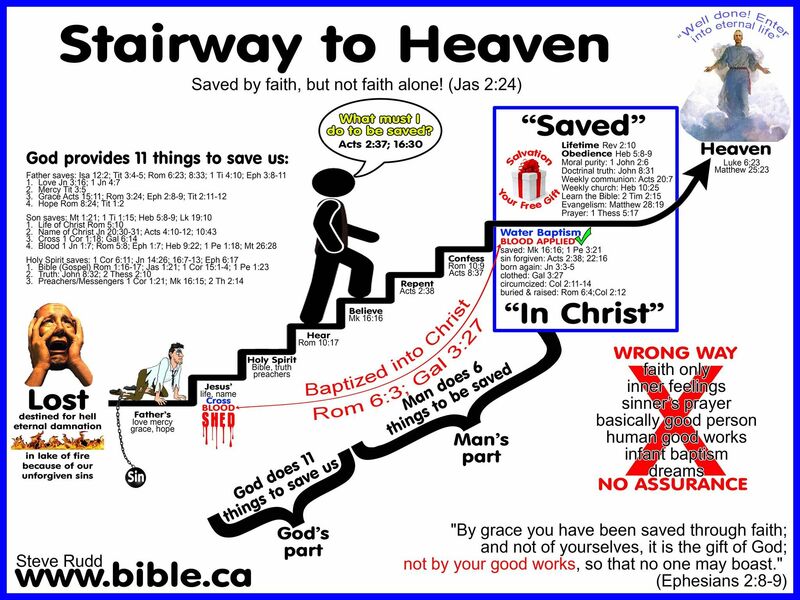 To follow Jesus, to obey the Gospel, to be saved…we must Believe, Repent, Confess & be Baptized for the remission of sins. [Mark 16:16; Acts 2:38, 22:16]. Then we can continue to follow Him in the way that He lived.